Diversify your Palm. Pool House - the ultimate billiards: snooker, 8-ball, 9-ball, Russian, American Pyramid, one pocket pool, call shot games and other kinds! 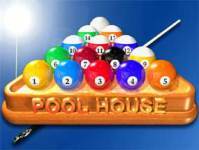 Precise and robust physical model makes you feel like playing at real life pool club!